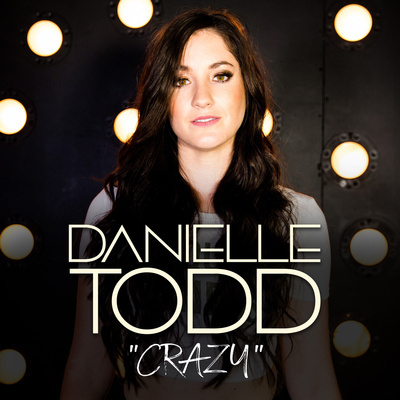 ‘Crazy', the debut radio single by Canadian born, Nashville based Country Singer/Songwriter Danielle Todd, is one of those songs that will instantly command your attention. Highlighted by passionate and compelling vocals, Todd has seemingly solved the magical formula of how to meld the best elements of modern music styles with a singer/songwriter’s touch for lyrical depth and literacy. Crazy is a masterstroke of composition that marks the emergence of a fresh, confident artist onto a much larger musical stage. After a decade of performing in venues across Ontario Canada, Todd moved to Nashville three years ago, where she dedicated herself to honing her chops as a writer, as well as becoming an in-demand performer on the competitive local club scene. As a writer, she has learned from countless songwriting sessions across the breadth of musical genres, ending up with a classic country sound infused with the exceptionally well crafted, memorable pop sensibilities of her first musical inspirations. ‘Crazy' is the opening act to what promises to be an intriguing, fulsome and successful solo career of an exceptional performer who, will undoubtably make audiences stop, look and listen whenever they hear one of her potently memorable songs.